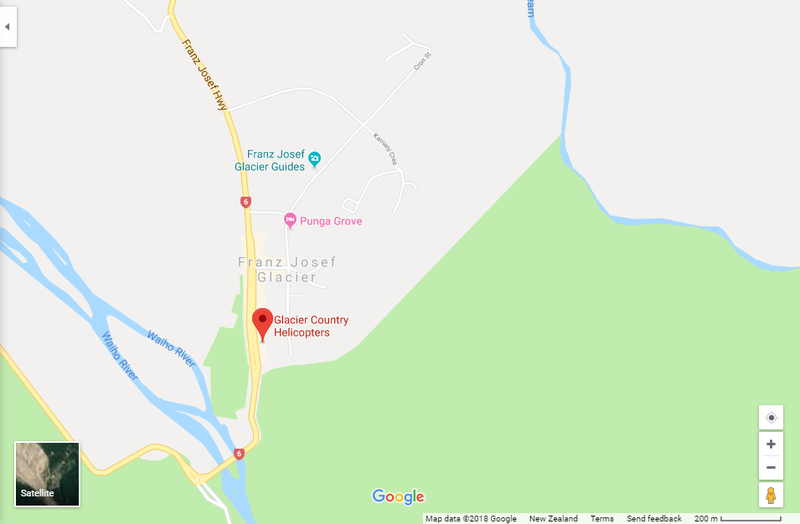 Before I talk to you about Franz Josef Glacier, let’s play with our imagination. Imagine yourself at your long craved New Zealand holiday. You have been saving for this experience for so long now! You also have a long list of must-do experiences that you don’t want to miss on for anything else in the world. And guess what. Doing a helicopter scenic flight ranks high on that list! 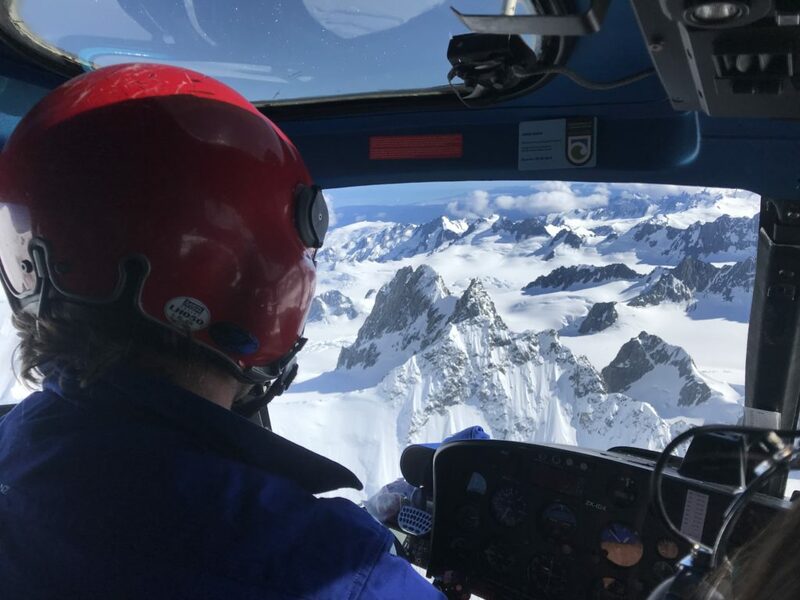 Taking a helicopter flight to see the NZ Southern Alps, is one of those things that you need to do at least once in your life. 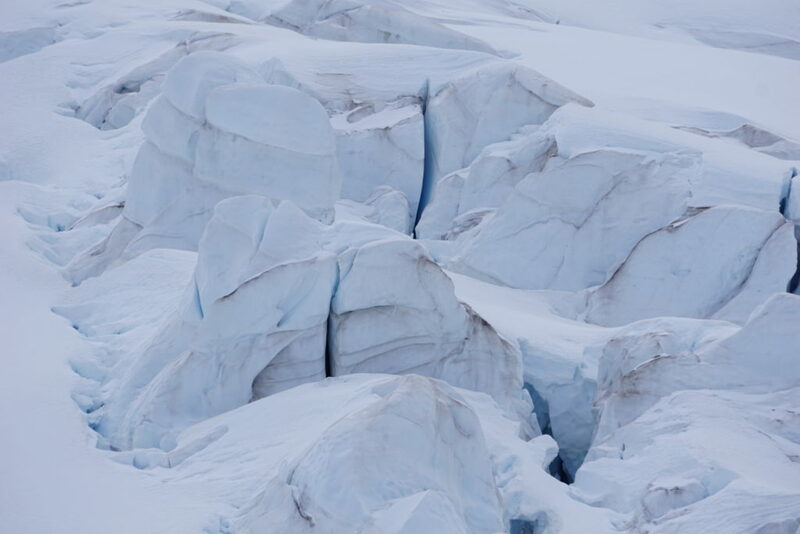 You know you are in the best place for a helicopter scenic flight when you reach the Franz Josef Glacier village. Getting here is easy. All you have to do is stop in Franz Josef Glacier township, on your way through State Highway 6, on the South Island’s West Coast! So there you are, excited like a kid with a big bag of lollies, checking the forecast on your phone the night before from inside your bed. You know you are up to probably one of the best experiences of the year (or your life), when you show up at the office for your helicopter scenic flight. We see these expressions of enthusiasm every day with our clients. Especially if it’s the first time you are taking a helicopter scenic ride! Our people come back with big smiles. We can’t help but smile as well when we notice their eyes wide open from inside the helicopter. 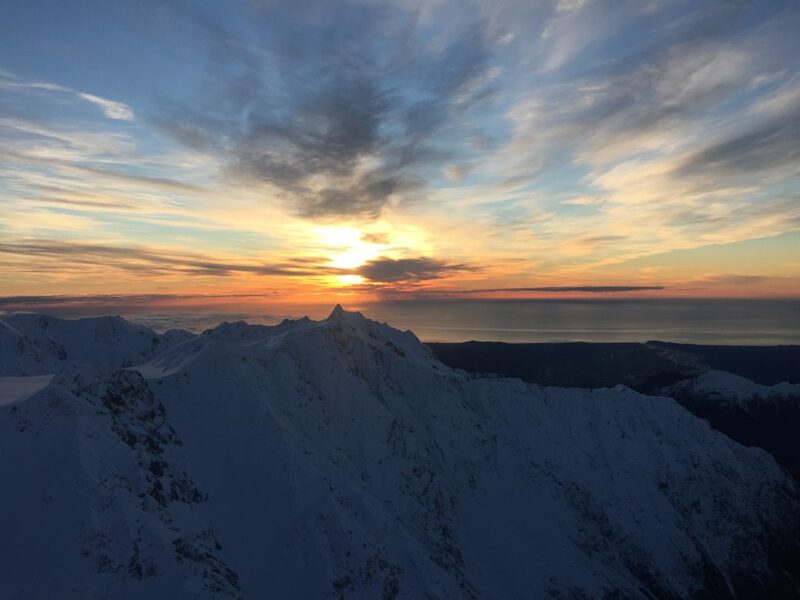 All you can do is to absorbe and soak in the beauty the Southern Alps have to offer. You can see by yourself right now what your helicopter scenic flight might look like. Check out our latest Instagram photos by clicking here! 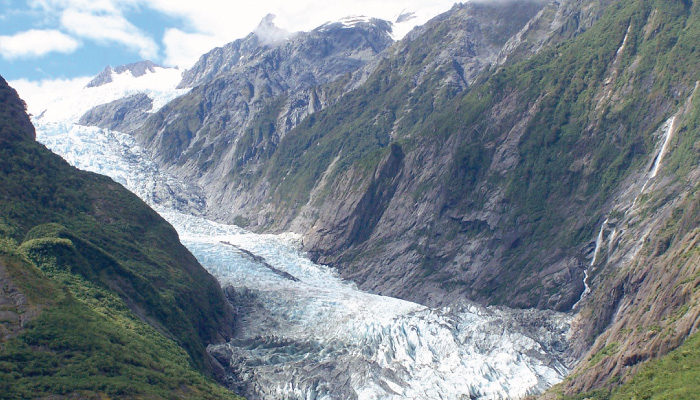 Do you ever wonder what’s the legend hidden within the Franz Josef Glacier and mountains? When we do our helicopter scenic flights, something magic happens. It is only when you are up there, that you start to wonder. You start dreaming and imagining what this unique, glacier environment meant back in the days for maori, the native people of NZ. We want you to have a taste of that magical wonder now. We are about to share with you the Maori legend behind the Franz Josef Glacier. This is a unique piece of history you don’t usually get from a helicopter scenic flight. But you can get it now from our website. We want you to have the absolute best experience ever. Even before you fly with us! Knowledge is power. When you actually understand what you are looking at, you can better appreciate it. Thank you for being here and reading our blog! 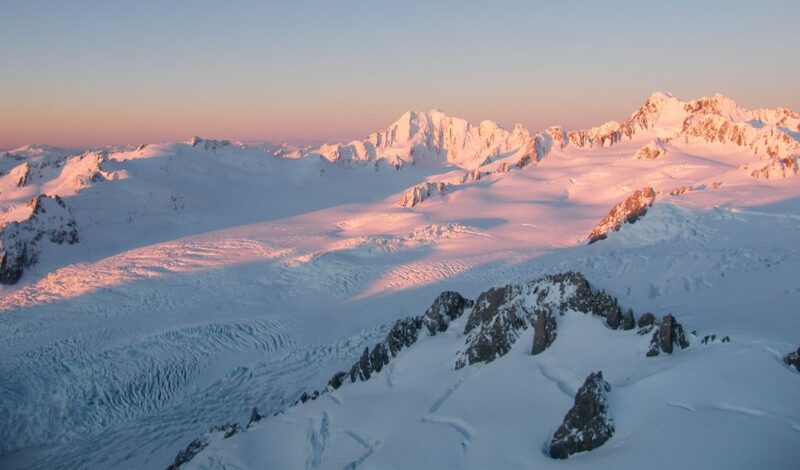 The Maori name of Franz Josef Glacier is “Kā Roimata o Hinehukatere”. This translates for The Frozen Tears of Hinehukatere. Hinehukatere was a strong Maori woman who lived up in the mountains. She loved climbing on these mountains so much. One day, looking at the horizon she spotted a village by the ocean, and she got curious. So she decided to get down the mountains and go explore. She found Wawe, a strong Maori rangatira – the chief of the tribe. Hinehukatere and Wawe immediately fell in love. She stayed with him for a while, until she heard the call of the mountains. She missed climbing the mountains, plus she really wanted to show Wawe where she came from. That’s why she persuaded Wawe to go on an adventure and climb with her. And he was less experienced on climbing mountains. Yet, he wanted to be with his beloved. When they were going up the mountains, he got cold and started to shiver. Then, Aoraki/Mount Cook, the father of the mountains, realized that a stranger was there. Aoraki was very angry that Hinehukatere had brought a mortal to the mountains. 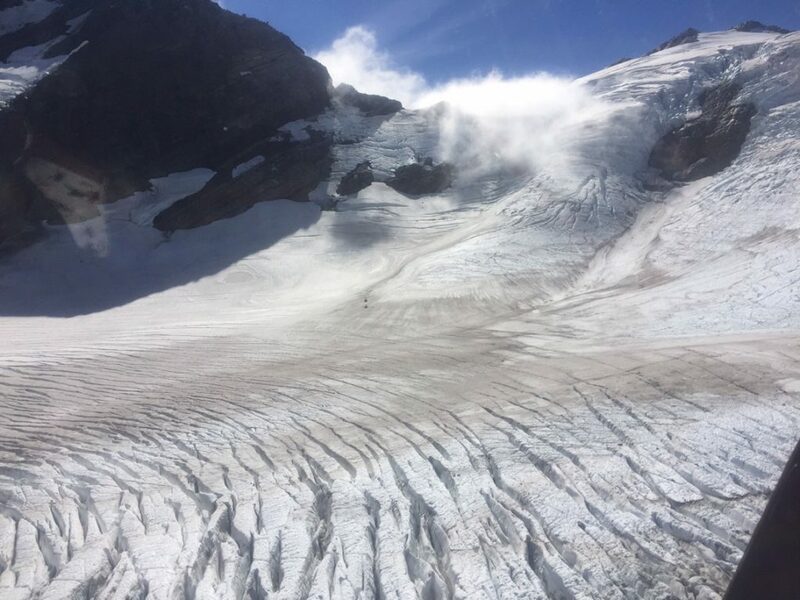 He started to shake, an avalanche occurred and sadly, Wawe swept to his death. And she started crying to the death of her lover. She kept on crying, and crying and crying. At this time, Aoraki was feeling really guilty for what had just happened. So he decided to freeze her tears as a reminder of her grief. And that’s how The Frozen Tears of Hinehukatere, or Franz Josef Glacier was created. Now that the glacier is retreating, it is thought that Hinehukatere is getting over her angst with Aoraki/Mt Cook for killing her lover. 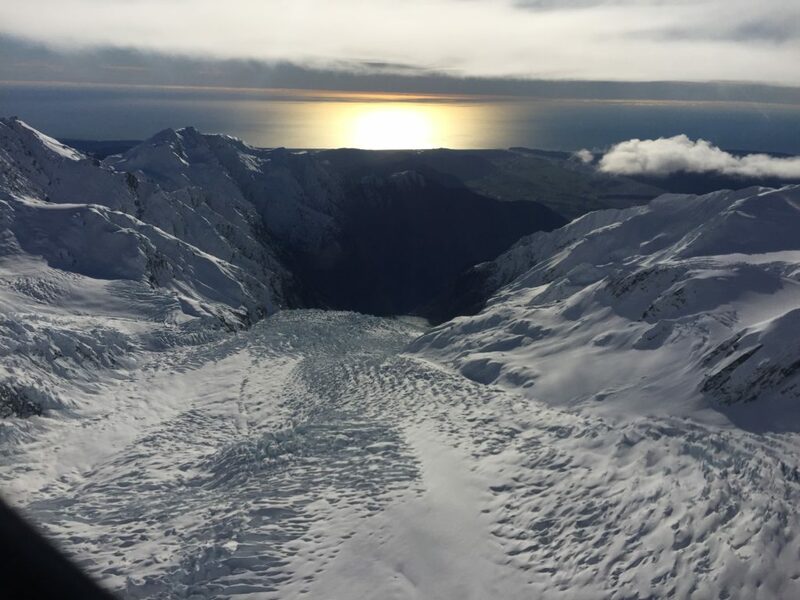 This story of the Franz Josef Glacier has been passed down through generations until now. Did you enjoy reading it? If you are after a one in a lifetime experience, then click on that big, blue “Book Now” button underneath this post and come fly with us! 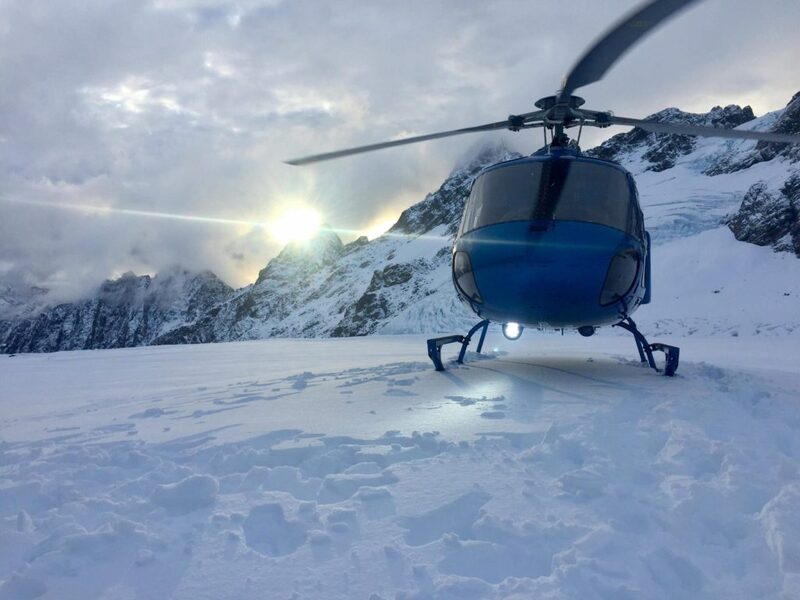 We can’t wait to take you out on a helicopter scenic flight and be part of your dream experience in New Zealand.